Weekends Count Magazine - Education & Family Travel: Only a Few Hours Left - Join Us Tomorrow at the Gluten and Allergen Free Expo! Look at the Schedule! Only a Few Hours Left - Join Us Tomorrow at the Gluten and Allergen Free Expo! Look at the Schedule! 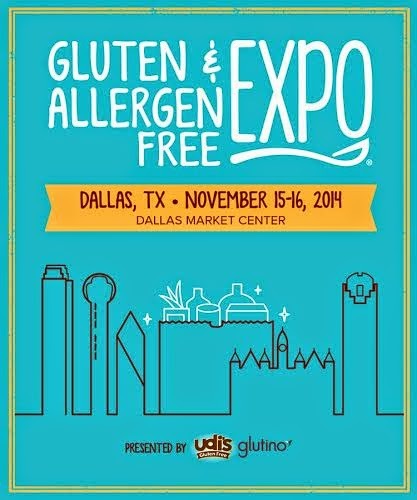 The Gluten and Allergen Free Expo at the Dallas Market Center is THIS weekend (November 15-16, 2014). I am especially excited about the following vendors: Earth Balance, Enjoy Life, Go Picnic, Hail Merry, Ians (their fish sticks are AMAZING), Kroger, Rudi's, Saffron Road, Sprouts, Sweet Tomatoes, and Udi's. All of the companies listed are great, but the companies listed above are A+ in the eyes of the Texas Weekends Count family! "Raising A Child Gluten Free": Learn how to keep your child safe at home and away. Tiffany Hinton a mom of children with food allergies will teach you how to keep your own child smiling with safe kitchen tips, snack ideas, birthday party solutions, traveling and more.